Bradley - "I never told Bob that at all. He's a liar and I will tell him that to his face." 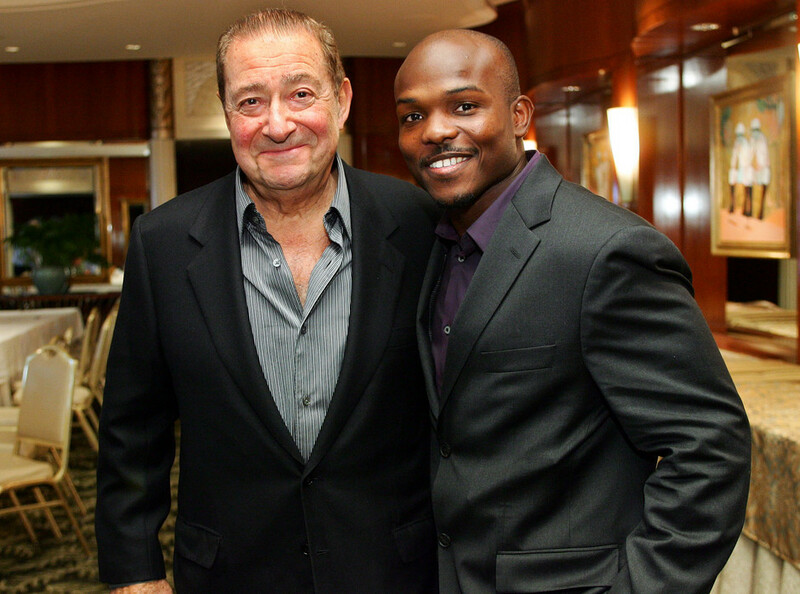 Newly crowned WBO welterweight champion Timothy Bradley has taken aim at his promoter Bob Arum, calling the Top Rank CEO a “liar” for claiming that Bradley admitted he lost a controversial decision win over Manny Pacquiao earlier this month. In the immediate aftermath of the fight, Bob Arum told assembled media that Bradley told him “I couldn’t beat the guy” in reference to Pacquiao. Bradley vehemently denied the claim and made his first critical remarks of Arum since signing with Top Rank last year. Bradley, who hasn’t spoken with Arum since the bout, finds himself in a waiting game position as Arum has publicly mulled whether to move ahead with a November Bradley-Pacquiao rematch, or move forward with a fourth Pacquiao-Marquez bout, this time in Mexico. That would leave Bradley, with an open fall date, with the remote possibility of facing Floyd Mayweather, who is currently serving a brief prison sentence for domestic abuse and coming off an entertaining May win over Miguel Cotto. Although Bradley believes his lack of star power and Top Rank contract hurts the possibility of a Mayweather bout, he sees the fight as a gateway to silence the naysayers who question his credibility following the Pacquiao fight. Bravo, Tim. Although count me in the camp of those who felt his lost to Pacquiao, it’s good to see him not letting his promoter attribute false statements to him and expressing his willingness to fight the next best available opponent this fall, which is Floyd Mayweather. I’m 99.9% sure Bradley-Mayweather doesn’t happen since Top Rank locks their fighters up for long-term contracts (ask Pacquiao, Gamboa etc. ), but what if it did? Just imagine if Bradley were to defeat the top two Pound 4 Pound fighters in the world in the span of a few months. And of course Mayweather would relish the opportunity to outclass someone who’s at the highest visibility of his career after “defeating” Pacquiao. But let’s stop there. A cross-promotion of that magnitude between Top Rank and Golden Boy is all but a pipe dream at this point. Floyd is no match for Pacman!